One focal from a Salem China plate. 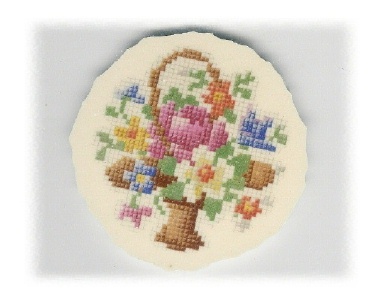 Brown & tan basket, pink rose, white flower, blue flower, orange flower, yellow flower, green leaves on ecru china. No discoloration, no crazing, lays flat.